January 20, 2019 4:36 pm. 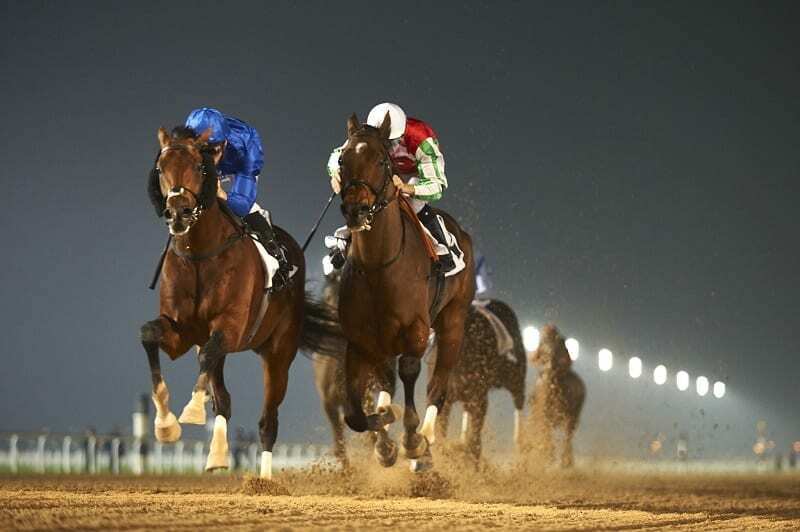 Sunday’s meeting on the Abu Dhabi turf was highlighted by HH The President Cup Prep, over the same 2200m course and distance as the Group One feature itself, which produced a shock result with Jaser, who had the second lowest official rating of the 14 runners, prevailing narrowly. Owned by His Excellency Al Sheikh Nasser Mohd Nasser Al-Hashar, the 6-year-old is trained by Younis Al Kalbani, whose horses have been in great form and ridden by Szczepan who celebrated his biggest ever career winner ten days ago when partnering Wadeeaa to victory in the Al Maktoum Challenge R1 (PA Group 1) at Meydan. Settled in midfield, he made smooth progress on the home turn before sweeping past early leader, Shaheer about 350m from home. They went clear, but Jaser, on his seasonal return, seemed to tire close home. He dug deep to deny the late challenges of Abu Alabyad and Ajjaj. A course and distance winner on his previous start in March, that his first UAE success to add to three victories in Poland, twice under Mazur when riding in his homeland in July 2016. Owner Khalid Khaifa Al Nabooda, his main trainer, Ernst Oertel and retained jockey, Tadhg O’Shea, are enjoying a productive campaign and combined to land the opening 1400m handicap with AF Hakeem, winning for the fourth time, the second over course and distance. Having tracked stable companion AF Mathayel, like the winner homebred by Al Nabooda, throughout the early part of the race, they shot clear at the top of the straight and soon had the race in safe keeping. O’Shea said: “He is a lovely horse, tough and genuine, though he only has one eye, so lacks a bit of confidence which is why we took him to the start early. He was only narrowly denied last time when Sam Hitchcott rode him, so he deserved another win and has done that nicely in what was a competitive race. The same team later combined to complete a double when Noof KB was victorious in a 1200m handicap restricted to horses in private ownership, maintaining an unbeaten record over course and distance having easily won a similar handicap in November. The following 1600m maiden was won stylishly by Brraq, a 6-year-old having just his second career start after a fourth place finish on debut, over 1800m, on the dirt track at Al Ain where he is trained by Jean de Roualle for His Highness Sheikh Mansour bin Zayed Al Nahyan. Settled in midfield by Richard Mullen, he made smooth progress before, on the rail, hitting the front halfway up the straight, winning easily. Trained by Eric Lemartinel for his main patron, His Highness Sheikh Khalifa bin Zayed Al Nahyan, Ras Asina was produced fast and late to lead close home by Pat Cosgrave to land the spoils in a 1600m rated conditions stakes. Restricted to mares aged five or over and without three career victories to their name, the 5-year-old, on her ninth outing, was doubling her tally having previously scored, on debut, over 1400m at Abu Dhabi in November 2017. Settled in the middle of the nine runners, she was switched wide by Cosgrave early in the straight to produce her telling challenge down the centre of the track. The only Thoroughbred race on the card, the concluding 1400m handicap, provided probably the easiest winner of the evening with Adrie de Vries seemingly sat motionless throughout aboard Legendary Lunch before leaving his 13 rivals toiling in the final 150m to win impressively on his second local outing. A pleasing sixth, over 1200m on the Meydan dirt on his UAE bow a month ago, the 5-year-old entire by Dragon Pulse is now in the care of Fawzi Nass, but was a very good juvenile in England for Richard Hannon, winning the Listed Woodcote Stakes at the 2016 Epsom Derby meeting and finishing a close second in the Flying Childers Stakes (Group 2) at the Doncaster St Leger fixture. After two fruitless starts as a sophomore in the UK, he won on his Bahrain debut in November 2017, but this was his first success since.